We are a wholly owned subsidiary of the Be-Ge Group of companies and your direct source in the UK for the products our factories produce. Located just off Junction 25 of the M1 Motorway in Derbyshire we sell, distribute and support the Be-Ge range of Drivers Seats, Jany Passenger Seats and Be-Ge Office Chairs. 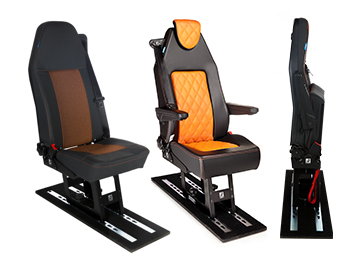 The Be-Ge Group has been operating since 1934 and we are the World’s oldest manufacturer of suspended driver seats. Today we are a leading supplier of seats for among others buses, fork lifters, industrial trucks, forestry- and construction vehicles, trucks and railway traffic. Our Company Slogan “More than a Seat” is exactly what we do, we tailor our seating range to match our customers requirements and come up with a solution that is enjoyed by a wide-range of end users in the public and private sector. 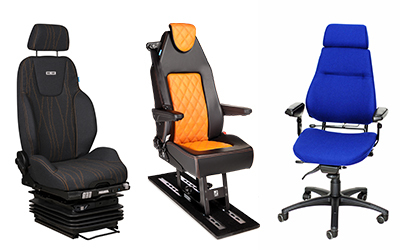 We are at the forefront of seating design, not only in terms of ergonomics, we also invest heavily in testing to meet the latest European Standards in seat safety. We have become the preferred partner of many Blue Chip companies such as Scania, Volvo Construction, John Deere & Komatsu Forestry and our Train Driver seats can be found in many countries favoured by operators such as SNCF, NedTrain, RATP and Sheffield Supertram. We also pride ourselves in our level of support and service offered to our customers and today in the UK, we are still providing spare parts for 12 year old operational Emergency frontline vehicles.